Harish Rohra, a small sized businessman in Hyderabad, was diagnosed with kidney failure in 2014. As if life wasn’t difficult already, more hardships were in store for Harish. At that crucial time, his 5 year old daughter Parvati, was diagnosed with severe health problems too. He had to take a decision and he went ahead and put all his life-savings into his daughter’s treatment. In order for Harish to survive, doctors have prescribed the procedure of dialysis thrice a week. They suggest that the best option to keep him alive is a kidney transplant operation. However, Harish is unable to afford the operation as it costs around Rs. 8 lakhs. His 5 year old daughter Parvati, was diagnosed with severe health problems too. Parvati was suffering from a rare genetic disorder called Alagille Syndrome which affects one in a lakh children. The syndrome affects vital organs such as heart, liver, kidneys, necessary for survival. Parvati was battling for her life with both her heart and liver needing surgery. Recently. doctors performed an open heart surgery and liver transplant operation on Parvati. Her mother, Prerna, donated her liver to save her daughter’s life. However, medical treatment for Parvati, has exhausted Harish’s savings. It is inspiring to know that Harish, valiantly, postponed his own kidney transplant operation to save his daughter’s life. Both the parents have sacrificed substantially to save their daughter’s life. Prerana Rohra, the mother, has taken a risk in being a living liver donor. Harish Rohra, the father, too has also taken a risk by postponing his own kidney transplant operation. 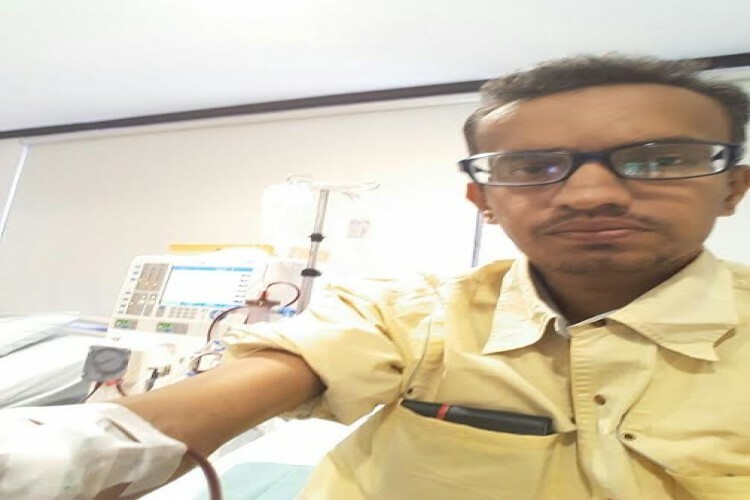 But, Harish urgently needs to undergo a kidney transplant operation in order to survive. Fortunately, the hospital is considering providing a discount on his kidney transplant operation. Yet, Harish needs financial support to fund the operation. Harish’s tale is a heroic one, where a father sacrificed his own medical treatment to save his daughter. It is time to get inspired and help Harish by giving him a second chance at life. Donate generously towards his kidney transplant operation. Do share this appeal within your network of family and friends across various social media channels and ask them to contribute and save Harish’s life. Your share could be as good as a donation for Harish Rohra! Not everyone can afford to take care of their loved ones. Harish Rohra's life can only be saved by donations made by kind people like you.